ITALY. 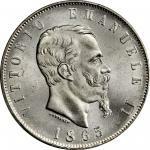 20 Lire, 1902-R. NGC MS-64* DPL.Fr-23; KM-37.2; Mont-43; Gig-25a. 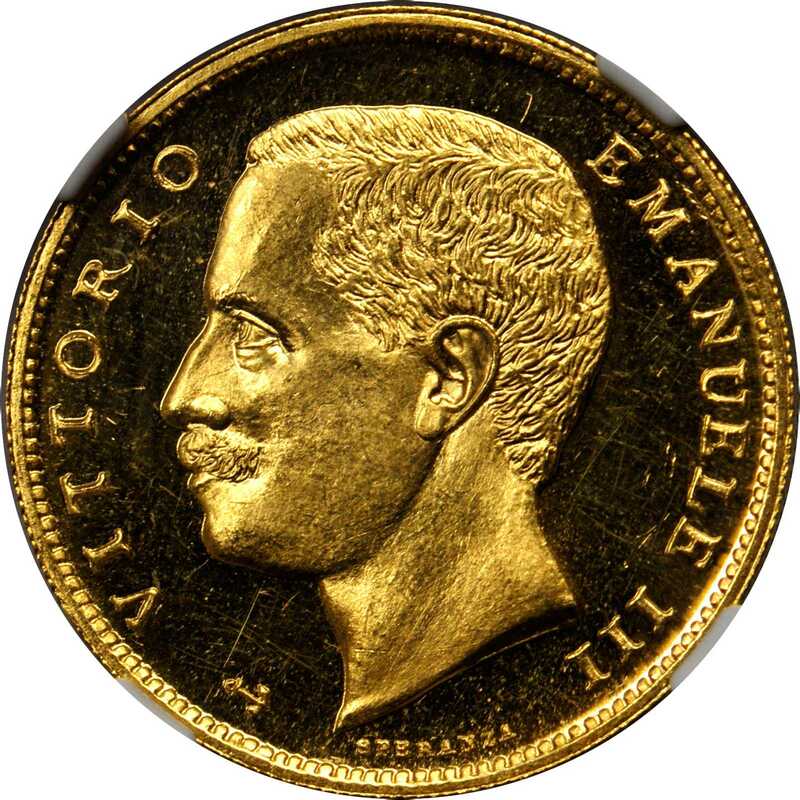 With Anchor on Obverse indicating that the gold came from Eritrea. 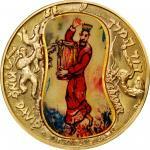 Mintage of only 115 pieces. According to the African Review May 10, 1902 Prior to 1899 Eritrea had never been prospected for minerals and during that year it was brought to the attention of the Governor of the Colony Signor Martini that a large block of rich gold-bearing quartz had been discovered by a native. Shortly thereafter two experienced prospectors with the aid of natives came to the conclusion that many of the outcropping quartz reefs contained gold. The Eritrea gold mining company was established in June of 1900 and the mines of Sciumaghelle with a depth of 200 feet and Medrizien with a depth of 140 feet were selected for the initial operations. By December 31, 1901 the two mines had yielded about 6 ounces of gold. Other mines were also set up at Regina di Saba, Adiconsi and Az Nefas with similar results. According to the Annual Report of the Director of the Mint (Washington) for the Fiscal Year Ended June 30, 1903 page 237 "In 1902 gold in the amount of 5,920 lire was coined, in pieces of 20 lire, using in part, as an experiment, metal obtained from the mines of Eritrea and in part gold purchased". When divided by 20 the number comes to 296 total pieces struck for that year between domestic and imported gold. 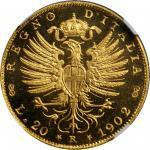 Also stated in the Mint report page 237: "Gold Produced from mines of the country during 1902: Kilograms, 11. 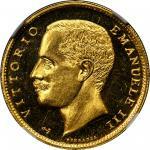 The value of the gold produced, 37,811 Lire" and "Gold product of the colonies of the country during 1902: The gold Mining Company of Eritrea in the year 1902 continued the preliminary work begun in 1901, with satisfactory results. However, we have no figures as to the quantity of the production." Clearly not all of the gold produced during this year was used in the manufacture of coinage and must have been either deposited in the treasury, exported or used for other manufacturing. VERY RARE, historically significant and deserving of more in-depth research. Hard mirror fields with frosted cameo devices. 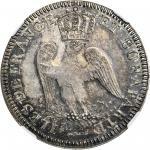 Very attractive and sure to excite even the most advanced collector of Italian numismatics.